MaeTM, your wish list has been updated. Happy early birthday! tjenni, your gift has been added. Thank you for gifting! Aie, your gift has been added. Thank you for gifting! OrcaFreak, your wish list has been updated. Happy early birthday! wheeloftime13, your gift has been added. Thank you for gifting! Astreya, your 3 gifts have been added. Thank you for gifting! pikammd, your wish list has been updated. Happy early birthday! wheeloftime13, your wish list has been added. Happy early birthday! Messages for users with April birthdays have been sent. Varislapsi, your gifts have been added. Thank you for gifting! Tabs, your 9 gifts have been added. Aie, your wish list has been updated. Happy early birthday! Shibunari, your 2 gifts have been added. Thank you for gifting! jewel21, your wish list has been updated. Happy early birthday! Aie, your 2 gifts have been added. Thank you for gifting! Dirtytabs, your 8 gifts have been added. Astreya, your 2 gifts have been added. Thank you for gifting! tjenni, your wish list has been added. Happy early birthday! taginix, your wish list has been added. Happy early birthday! Varislapsi, your 5 gifts have been added. Thank you for gifting! Shibunari, your gift has been added. Thank you for gifting! Shibunari, your wish list has been added. Happy early birthday! The Dragoness, your wish list has been updated. Happy early birthday! TerraAnne, your wish list has been updated. Happy early birthday! Isuzu, your wish list has been updated. Happy early birthday! clara954, your wish list has been updated. Happy early birthday! Dragon-Firy, your wish list has been added. Happy early birthday! Alisyn, your wish list has been updated. Happy early birthday! Varislapsi, your 4 gifts have been added. Thank you for gifting! Messages for users with March birthdays have been sent. Dirtytabs, your gift has been added. Thank you for gifting! Elestren, your gift has been added. Thank you for gifting! Messages for users with February birthdays have been sent. jewel21, your wish list has been added. Happy early birthday! Varislapsi, your 6 gifts have been added. Thank you for gifting! smartster4, your wish list has been added. Happy early birthday! Princess Kiara, your wish list has been added. Happy early birthday! ComatosedRoses, your gift has been added. Thank you for gifting! Astreya, your 6 gifts have been added. Thank you for gifting! Dirtytabs, your 3 gifts have been added. Way to go botching the red gift report. bloodyneptune, your wish list has been added. Happy belated birthday! Astreya, your 19 gifts have been added. Thank you for gifting! Ruby Eyes, your 4 gifts have been added. Thank you for gifting! Elestren, your 8 gifts have been added. Thank you for gifting! Terrafreaky, your 7 gifts have been added. Thank you for gifting! Nandeenah, your 2 gifts have been added. Thank you for gifting! oilbird, your wish list has been added. Happy early birthday! Firstborn Dragon, your wish list has been added. Happy early birthday! Dirtytabs, your 15 gifts have been added. hedy, your 5 gifts have been added. Thank you for gifting! Lurhstaap, your 7 gifts have been added. Thank you for gifting! Soulsborne, your 2 gifts have been added. Thank you for gifting! 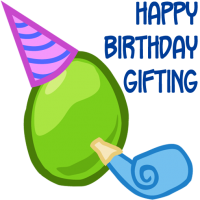 nxtashaxt, your 2 gifts have been added. Thank you for gifting! Din85, your 2 gifts have been added. Thank you for gifting! Din85, your wish list has been added. Happy early birthday! Dirtytabs, your wish list has been updated. Ruby Eyes, your wish list has been updated. Happy early birthday! nxtashaxt, your wish list has been updated. Happy early birthday! Kastriia, your wish list has been updated. Happy early birthday! 6ThunderGod9, your wish list has been updated. Happy early birthday! Wei55, your wish list has been added. Happy early birthday! Messages for users with October birthdays have been sent. Imzadi83, your gifts have been added. Thank you for gifting! Syryn, your 4 gifts have been added. Thank you for gifting! sylviamaris, your gift has been added. Thank you for gifting! Astreya, your wish list has been added. Happy early birthday! Astreya, your 4 gifts have been added. Thank you for gifting! Nyxity, your wish list has been added. Happy early birthday! FAstudent12, your 4 gifts have been added. Thank you for gifting! Sazondra, your wish list has been added. Happy early birthday! Natevaelle, your 2 gifts have been added. Thank you for gifting! ComatosedRoses, your wish list has been added. Happy early birthday! Tinibree, your wish list has been updated. Happy belated birthday! Soulsborne, your wish list has been added. Happy early birthday! Nagapie, your wish list has been added. Happy early birthday! Kaiserf11, your wish list has been added. Happy birthday! JavaTigress, your wish list has been added. Happy early birthday! Sylviamaris, your 6 gifts have been added. Thank you for gifting! Sunstar23, your gift has been added. Thank you for gifting! MysticMusician, your wish list has been added. Happy very early birthday! WWECornSerpent, your wish list has been updated. Happy early birthday! Sapphire Ryu, your wish list has been updated. Happy early birthday!